Karen Wright’s life reflects her favorite Marcel Proust quote, "The real voyage of discovery consists not in seeking new landscapes, but in having new eyes." Her nomadic search for Self, exploring numerous careers and locales, became her soul’s curriculum. She learned to let go of fear, listen to inner guidance, and come home to her own spirit. It was an inner journey - a shift in perspective - that prepared her to help others navigate that rocky course to Spirit. "It is the longest journey and the shortest distance," she confides. "With a shift in thought, entire lives can change." A baby-boomer herself, Karen’s passion and talents are perfectly poised to facilitate this generation of paradigm-shifters in their quest to achieve greater personal balance and sustainable world peace. She says, "Our world is energetically unbalanced. Power has lost its compassion and progress has forgotten its responsibility. It is time for a deeper spiritual awakening in which we consciously choose to honor all life. We simply can no longer afford to ignore our singularity of humanity. Quantum physics is now proving what spirituality has known all along: we are one. What any of us does, we all pay the price for. Baby boomers have transformed every stage of life in which we’ve participated. The true fulfillment of our individual lives is inextricably connected to humanity’s spiritual evolution. As we enter our years of wisdom, we have the power to bring our world out of darkness and into truth. We have the power. We also have the responsibility." 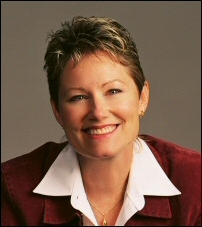 Karen is an acclaimed transformational speaker, bringing cutting-edge, paradigm-shifting insights from quantum physics, chaos theory, and brain physiology to organizational audiences seeking innovative solutions to age-old dilemmas. Her life-changing retreats inspire boldness and visionary focus. Karen is the author of the internationally read Waking Up, a provocative and life-enhancing online e-zine with a fiercely loyal following. Her writing speaks of everyday challenges with self-worth, fear, life purpose - encouraging us to courageously embrace the unknown and realize our destined greatness. Karen resides in the Pacific Northwest, close to family and the nurturing sustenance of undisturbed natural beauty. Click the banner to hear the interview with Karen Wright. 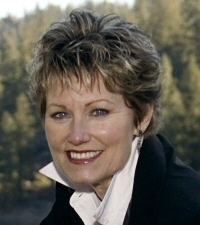 Johnna Andrea Tuttle, from blogtalkradio.com, shares with her listeners an interview with author Karen Wright, The Sequoia Seed: Remembering the Truth of Who You Are. Special guest Karen Wright shares a message with us about remembering who we are.